Professional Commercial Cleaning for Over 25 Years! Make your workplace clean, professional and productive. 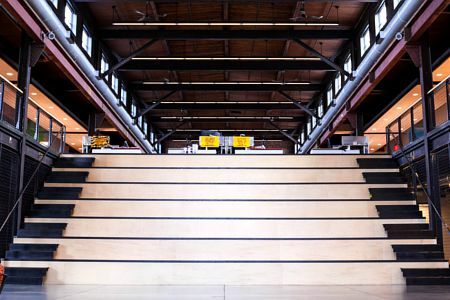 Janitorial services from First Capital Commercial Cleaners in York, Pennsylvania will give your workplace a polished look that will be attractive to customers and employees. 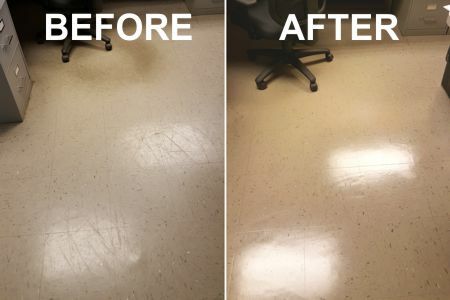 Tile floor stripping and waxing/refinishing from First Capital Commercial Cleaners in York, Pennsylvania will provide a mirror-like finish on your floors that will impress everyone. Protect your floors from wear and tear with tile stripping and refinishing from First Capital Commercial Cleaners. Carpets are subject to daily abuse, such as constant foot traffic, but are often overlooked until they appear worn and dingy. 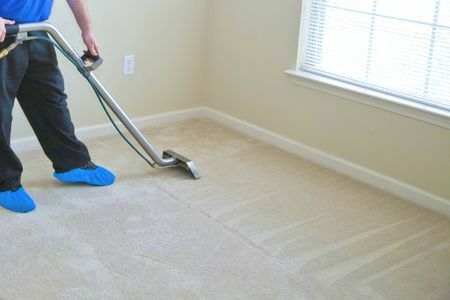 Use of our carpet cleaning services, either steam cleaning or dry extraction, aids in the prevention of serious carpet wear while maintaining an attractive appearance. Our mission at First Capital Commercial Cleaners is to create unparalleled value and customer satisfaction by delivering the highest quality janitorial service, providing outstanding customer relations, and taking the utmost pride in our work and performance. We keep in contact with our customers and listen to their needs and desires. As a truly homegrown, grassroots company located in South Central Pennsylvania that has remained independent and locally owned & operated for over 25 years, we pride ourselves on customer loyalty through strong customer relationships. We also maintain a loyal staff, many of whom have been employed with us for over ten years. At First Capital Commercial Cleaners, we respect our customers, their workplaces, our staff and their families. In 1995, First Capital Commercial Cleaners (FCCC) was founded in York, Pennsylvania. My goal is to provide the best service and value in the commercial cleaning industry and have been working with the best companies in York County. As we move forward as a company, our passion and commitment to be the best service provider will continue to be generated by continuous improvement, use of technology and development of our employees. Always feel free to contact me and let me know how we can help.